We monitor the social media world for negative posts about your brand so you can quickly respond to build a powerful following. Letting you respond to a negative comment quickly to build lifelong customers. In addition, Social Media Monitoring can uncover recurring issues that you may not be aware of which are having a negative effect on your organization. In today’s complex world of on line brand building and digital marketing, for a business to be successful you need to build a community of supporters. 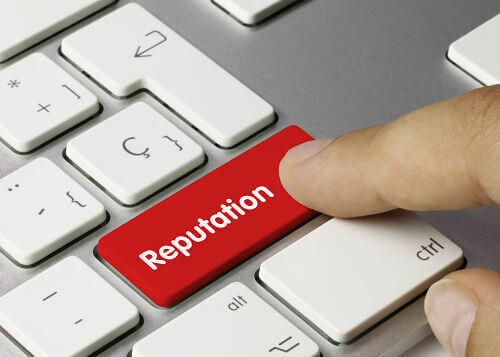 With the world pending their time on social media, making recommendations, telling of bad experiences and giving reviews, you cannot afford to not monitor your on line reputation. Responding quickly to a negative post on your brand can turn a black eye into a customer for life. Our Reputation Monitoring Service will give you daily alerts of any negative post about your business so you can quickly follow up. Your on-line reputation needs to be stellar, we can help. Reputation Monitoring is an Important Part! Where many fall short in a successful social media presence is not addressing all key sectors. Reputation Monitoring insures that anyone speaking negatively of your business on social media gets addressed immediately can turn a disgruntled customer into a client for life. A successful social media presence requires attention to some key categories including: a clean web design for conversion, strategically placed social media advertising, SEO / SEM for traffic, continuous industry specific posts and reputation monitoring. Any piece left out can cause the system to not function at its best.